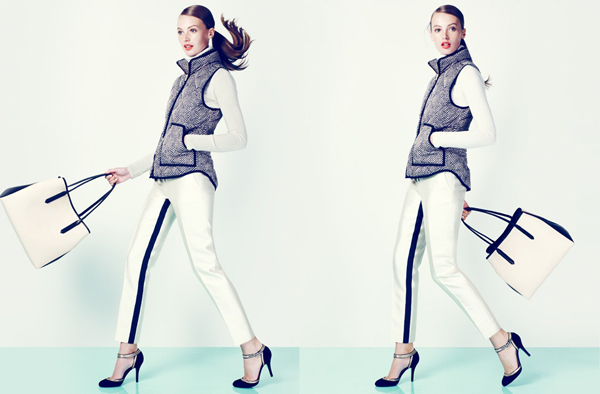 J.Crew created a lookbook of a selection of fancy pants that would do great in a party look. There are printed and patterned pants that are super trendy this Fall and coming Spring. J.Crew offers some beautiful pants in jewel tones and various prints and patterns. Pair them with casual turtleneck or wear with a fancy top to complete your trendy comfy party look. We wrote about printed pants and how to wear them and also showed how fashionistas rock this trend. Well, J.Crew’s lookbook ‘Hey, Fancy Pants’ offers more options on wearing patterned pants, mixing and matching. 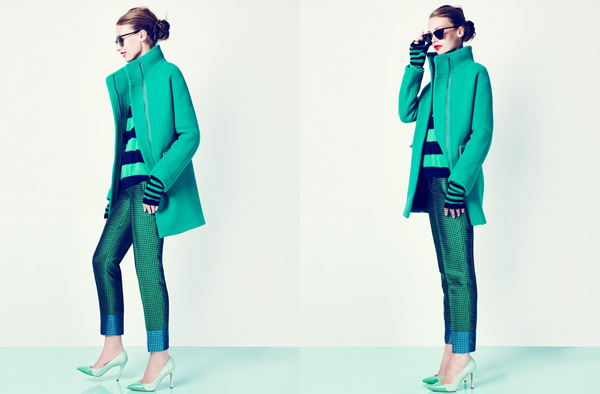 There are cool rich-colored pants in the lookbook as well as more neutral ones with btight patterns. Pair them with bright shirts, patterned vests and jackets, bright coats and cozy matching sweaters. Shiny pants would look festive with a fancy top. These pants are great for wearing to a party thanks to their bright colors and trendy designs and prints. How would you wear these?